Lighthouse Private Client targeted high wealth investors. The creative challenge was the regulatory restrictions by the Ontario Security Commission that prevented unsupported promises of better wealth gain as Lighthouse client. 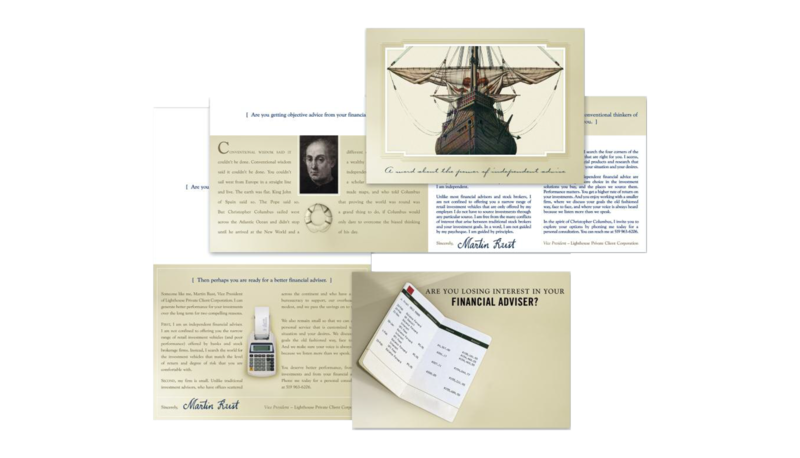 Three sales propositions were: independent thinking; Better advice and the third mailer invited a private meeting with the Lighthouse agent.